06/27/2017 — It's time for Dominion Camp Meeting! Even if you didn't have a calendar, you'd know it by the shift in the atmosphere at WHC. What God is about to do to us, through us and in us these next few days will be extraordinary – give yourself to Him fully this coming weekend! “Do not be carried away with diverse and strange doctrines. It is a good thing that the heart be strengthened with grace, not with foods, which have not profited those who have been occupied with them. We have an altar from which those who serve in the tabernacle have no right to eat. 11 For the bodies of those beasts, whose blood is brought into the sanctuary by the high priest on account of sin, are burned outside the camp. Therefore Jesus also, so that He might sanctify the people with His own blood, suffered outside the gate. Therefore let us go forth to Him outside the camp, bearing the reproach that He bore. For here we have no continuing city, but we seek one to come. Through Him, then, let us continually offer to God the sacrifice of praise, which is the fruit of our lips, giving thanks to His name. But do not forget to do good and to share. For with such sacrifices God is well pleased” (MEV, emphasis added). A move of God is coming with this weekend's Dominion Camp Meeting. Moving with Him is vital to an obedient Christian life. A move of God doesn't need to be claimed and marketed – it needs to be fulfilled. The purpose of any move of God is to place a jewel of a soul in the crown of our Savior, so the Lamb of God who was slain may receive the reward of His suffering. Too often churches that claim to want to be relevant only want to be trendy. What truly is relevant for the Church hasn't changed – it's the Great Commission and Great Commandment. Unless a congregation's focus is on loving God and loving people, it's not relevant at all. Become a living sacrifice. Let the peace of God rule in your heart, and manifest by loving others into a relationship with Him. 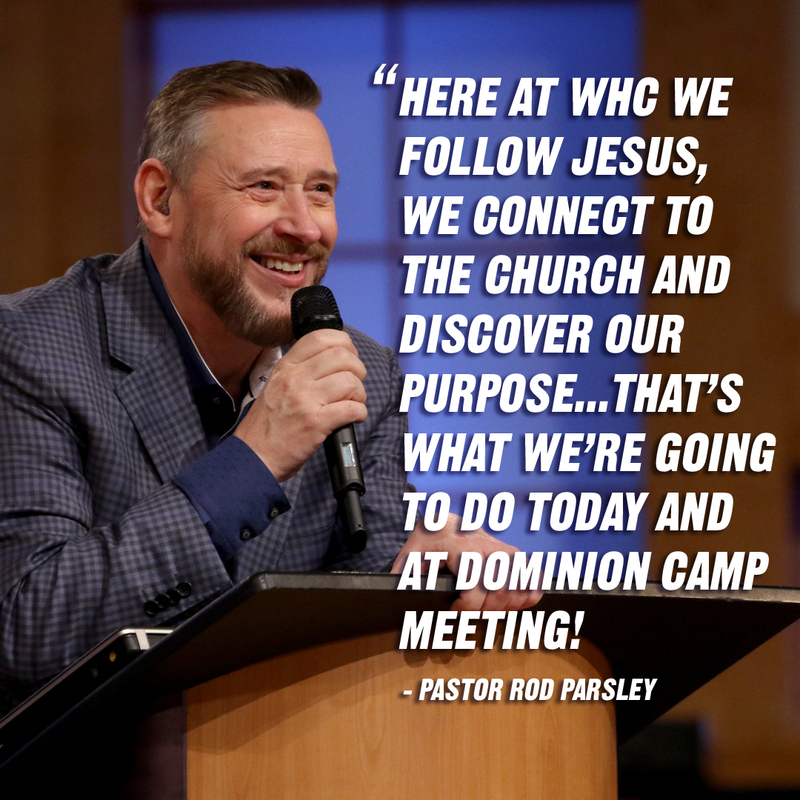 This year's Dominion Camp Meeting will be a catalyst for this congregation to effect, infect and affect millions of people for the Kingdom's sake! Take in every moment of it! 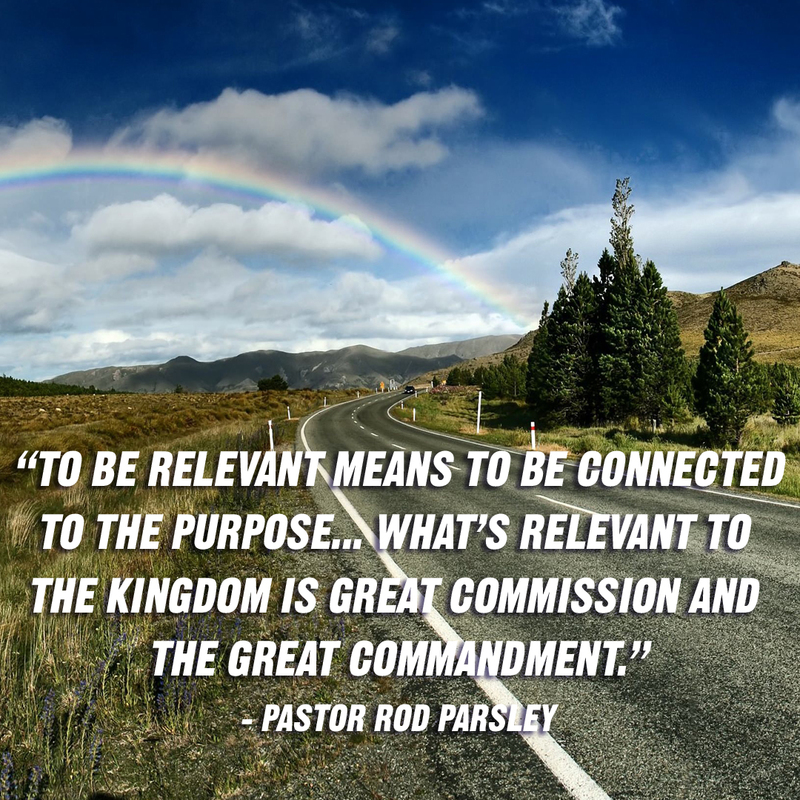 I truly wish to be relevant for the sake of Your Kingdom. Show me again how to live out the Great Commission and the Great Commandment in my life this week, that the people I touch would know more of Your love through me. Bless this Dominion Camp Meeting. I am ready to be part of history as we set the stage for a culture–shaking move of Your Spirit in this nation because of what will happen among us! Order my steps so I can do my part to fulfill Your plan for this church, and for the Church. Change our church, and me, for Your purposes. In the name of the Lord Jesus Christ — Jehovah Joshua Messiah — I pray. Amen!